﻿﻿ What a Party! Señorita Cinema 5 Celebrates Big Time! Houston Press Voted Best Arts Festival! The East End Studio Gallery for an evening of Arte and Fun! Viva la Vida! Viva la Mujer! Featuring some of the best Latina artist around. A perfect way to start off this year's festival in style. Come join us for some killer arte, cool vendors, refreshments, and a chance to win an all access VIP festival pass and tickets. AN EVENING WITH JOSEFINA LOPEZ! Josefina López is best known for authoring the play and co-authoring the 2002 SUNDANCE AWARD WINNING film Real Women Have Curves. 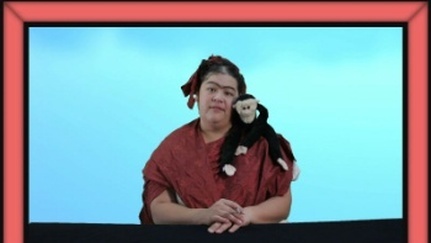 Josefina started her writing career at 17 and has had over 80 productions of her many plays throughout the country. Josefina has been working as a professional screenwriter in Hollywood for almost 25 years with countless development deals and screenplay assignments. She has worked with many established Producers like Norman Lear (All In the Family) and Michael McDonald (American Crime) to bring Latinos to television. Born in San Luis Potosi, Mexico in 1969, Josefina Lopez was five years old when she and her family migrated to the United States and settled in the East Los Angeles neighborhood of Boyle Heights. Josefina is a graduate of Columbia College Chicago, has an MFA in Screenwriting from UCLA’s School of Film & Television, and has a Diplome de Cuisine from Le Cordon Bleu, Paris. Josefina was undocumented for thirteen years before she received Amnesty in 1987 and eventually became a U.S. Citizen in 1995. Josefina is the recipient of numerous awards and accolades, including a formal recognition from U.S. Senator Barbara Boxer’s 7th Annual “Women Making History in Hollywood” in1998; and a Screenwriting Fellowship from the California Arts Council in 2001. She and Real Women Have Curves co-author George LaVoo won the HUMANITIES PRIZE for Screenwriting in 2002, The Gabriel Garcia Marquez Award from L.A. Mayor in 2003, and the Artist-in-Residency grant from the NEA/TCG for 2007. Josefina is the Founding Artistic Director of CASA 0101 Theater in Boyle Heights which is celebrating it’s 15th anniversary. At CASA 0101 her commitment is to present plays that celebrate and shatter the myths and stereotypes of Women and Latinos and she teaches playwriting and screenwriting to a new generation of Latino and women artists. 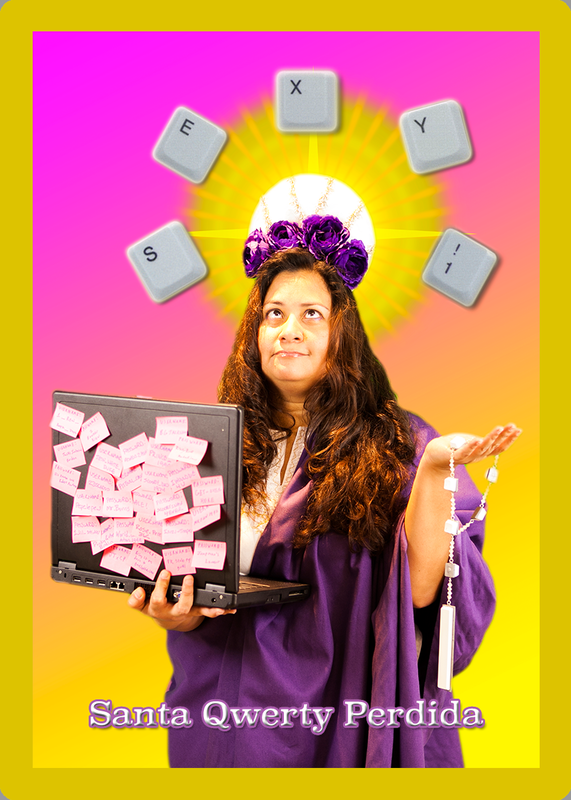 Josefina is presently developing the musical version of Real Women Have Curves for Broadway. Her first novel titled Hungry Woman in Paris came out in 2009. Her two plays collections Real Women Have Curves & Other Plays and Detained in the Desert and Other Plays as well as her countless books can be found on Amazon. She wrote a play to protest SB1070 titled Detained in the Desert, which she produced as a film and which won best Feature at the Los Angeles International Women’s Film Festival. She is working on numerous writing projects for the stage, screen and for print. For more information please go to Josefinalopez.co & casa0101.org. 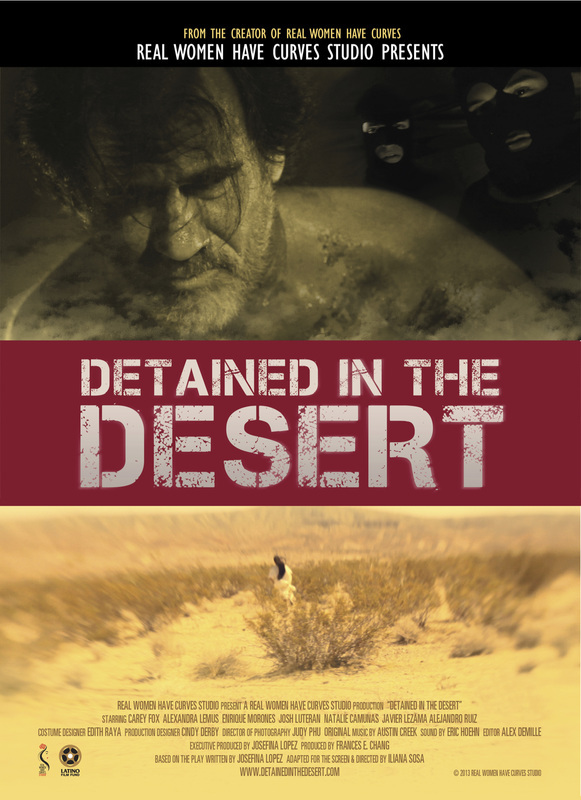 Detained in the Desert parallels two completely different people: Sandi Sanchez, a second-generation dark skinned Latina, and Lou Becker, an inflammatory talk show radio host, who find each other lost in the desert and discover their humanity and the true plight of migrants crossing the Arizona desert. Workshop: Where is the story? Creating and Connecting. Josefina Lopez leads an open discussion/workshop on the joy and challenges of creating with your authentic voice. LIMITED SEATING PLEASE RESERVE YOUR SPACE NOW. IT'S SATURDAY NIGHT SUPER SHORTS! in past senorita cinema festivals. 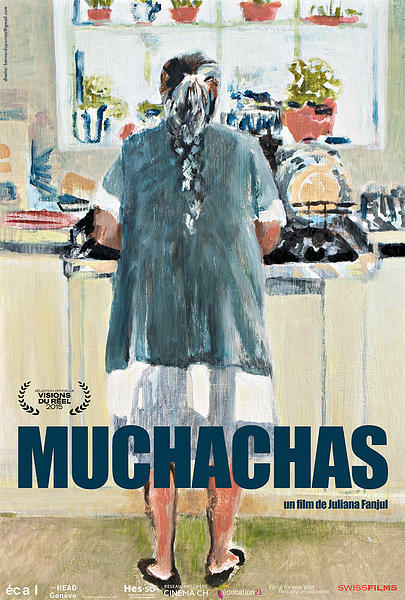 Muchachas - My grandmother’s death brought me back to Mexico City, where my eyes were opened as to on how unfair our relationship with the maids had been. To what extent was I also responsible for the invisibility of these women, who had always lived around me?